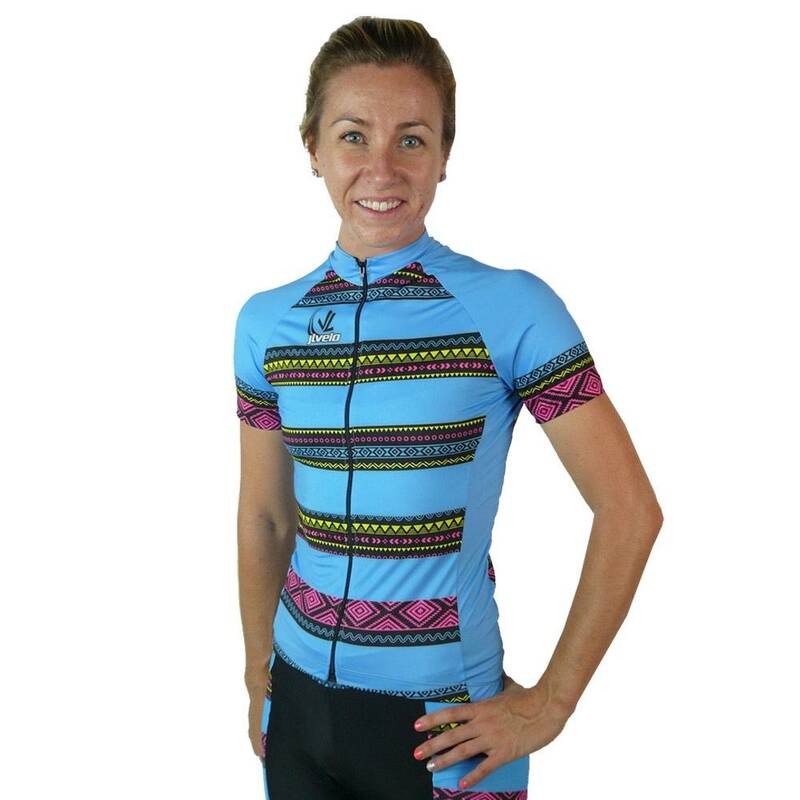 Women's Team Stretch Short Sleeve Jersey Cut for a woman! Our midline race jersey fits like a 2nd skin and is made from RECYCLED fibers. Made of our silk-weight Lite Drywick, a RECYCLED Microfiber with 4-way Stretch and 40 UPF. Full zip durable YKK for best quality and endless zipping. Side Panels add to the anatomic feel. 3 back pockets with double tacked elastic keep your snacks in. Grip tape at the waist keeps the jersey in place.